Look, people have opinions about Quiet’s character design. If you don’t like it, that’s totally understandable. If you do, there are companies ready to take your money. One of those companies is Japanese toy firm Gecco, who in June/July will be releasing this 1/6 scale (around 30cm high) statue of the silent sniper, which features interchangeable weapons and faces. 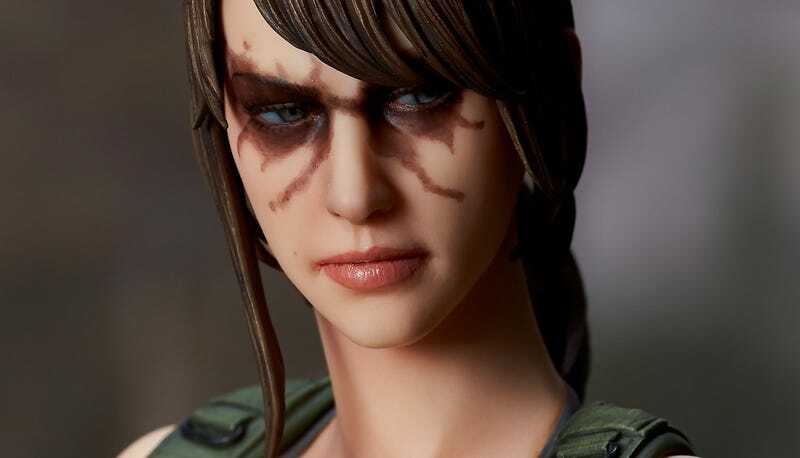 It’s...OK, so even as someone who thinks her design is a bit naff, this is a very nice statue, doing its job—of recreating the character’s likeness—almost perfectly. It’s going to cost $289.